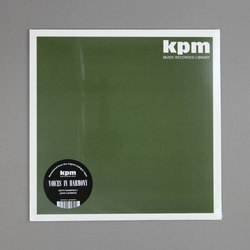 Keith Mansfield / John Cameron - Voices In Harmony LP (The KPM Reissues). Vinyl LP. Bleep. Be With Records have had their hands full recently. Teaming up with library music producers KPM, they’ve selected a number of their catalogue favourites for re-issue, undertaking the task of restoring them from the original analogue tapes. One such classic is 1973’s Voices in Harmony, arranged by Keith Mansfield and John Cameron; a lilting and lovely set of orchestral pop tunes, full of bubbly charm and vintage spy movie vibes.